I love Jazz. The infinite improvisations on time tested melodies that provide inroads into the inner reaches of a musician’s soul. I can endlessly listen to fifty artists put their signature on a classic piece and never grow tired. So too is the art of the cocktail. While I wax poetic about the importance of the exactitude of the classic cocktail, I also revel in the endless riffs that are played on these important tomes. My curiosity is always peeked by the mixing of strange bedfellows. Scotch Whisky-based cocktails are always challenging and I have done my best over the years to showcase the best of the lot. A while back, one of these classic gems was The Blood and Sand, a Scotch Whisky-based cocktail from the 1920’s that featured orange juice and Cherry Heering in a pleasing salute to Rudolph Valentino. Add all the ingredients to a shaker and fill with ice. Shake, and strain into a chilled cocktail glass. 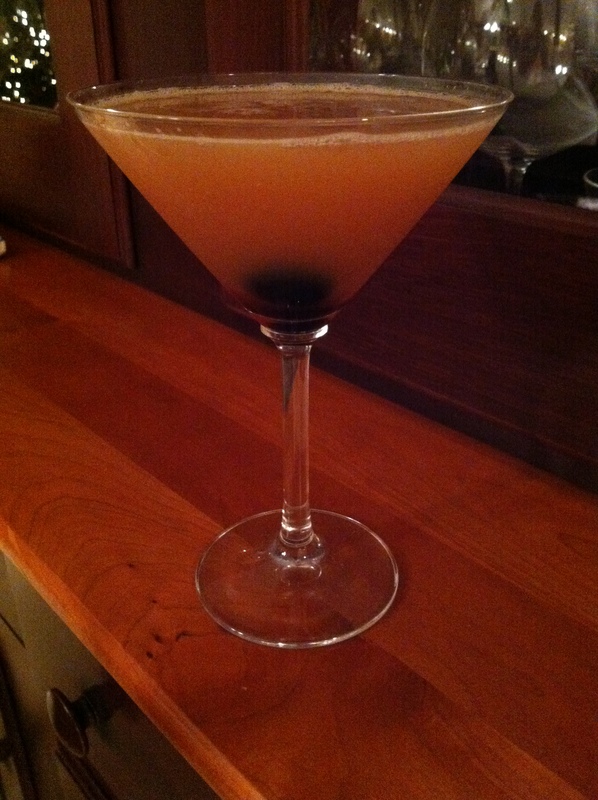 Garnish with brandied cherries and a flamed blood orange twist.